This is my first build. I don't have much to say. Let me know your comments and ask your questions. I'll use this for development, deep learning, photography, some gaming and possibly 3D modelling. I couldn't manage the RGB Fusion software to work which is why the RGB are all mismatch for now. Anyway I can't see them so I won't go crazy with that. I'm not quite satisfied with the cable management either, the GPU power cable is stiff and hard to place properly. The fan cables are also messy with the female port dangling. I bought the 1-8 PWM adapter, not sure if there's any advantage/inconvenients of chaining the fans vs plugging them all the the adapter? There is 3 PWM ports on the motherboard and I have 5 case fans. Very quiet and CPU temps are good. I will update this once I overclock. I didn't have much choice for a budget mATX z390 board. This one is ok but the BIOS and software don't feel professional and are somewhat hard to use. Works fine, low profile and they fit without issue under the Be Quiet! Dark Rock Pro 4. Probably overkill for my needs but really fast synthetic speeds. Can't really feel the difference between that and a much cheaper SSD I have. Super quiet, even under moderate load the fans are off and the temps are good. Looks good and the sound dampening interior does make a difference. Temperatures are good. Unfortunately I seem to have received a used one from Newegg. There was a bent case screw and a mobo spacer already installed. I didn't bother to return it. Nice build mate, hope you are enjoying it. I just bought this card (will receive it in early december), and I would like to know how it is holding up. Any crashes? BSOD? Artifacts or such ? No problem at all with it. Quite happy with the performance. Ty man, hope mine comes good too! GAME ON! For my needs it's definitely overkill and I love it! Deep learning and other compute tasks are much faster than on the 1080 which was the deciding factor for me. Similar to some much more expensive professional cards. My gaming needs are very basic and for now the only thing I played on it is Metroid Prime on Dolphin at 4k/60hz and it was just chilling at ~30% and the fans only started after playing for a while. But for modern games apparently it's more like the 1080, ideal for 4k 60hz or 1080 at 144hz. I still need to buy some modern games to try it properly! you will probably want to flip all of your case fans for the best performance and acoustics. Other than that looks good! No because it seems to be in a closet under his desk. The hot air is now exhausted in the front in stead of staying inside the closet and keeping everything warm. I see. That makes more sense. In that case, I would flip the cooler fan to align with the flow, but it might not matter too much. Ohh I didn't realize they were backwards! Thank you for pointing that out. They spin so slowly at idle it was hard to tell which way was intake which way was exhaust but at full speed it's evident. Thanks to the guidance of some users here, I did add fans to the cabinet and my plan was to draw air from the front, exhaust from the back and then exhaust from top/rear of the cabinet with those fans. I added pictures of those fans. I'm waiting for extensions to plug them. Does that make sense now if I flip all the fans around (including the cabinet ones)? Or should I still flip the cooler fan and leave the rest as is? The front of the case doesn't seem well designed for exhaust. Hehe, there are far worse things in life than mistakes in a PC build! Maybe I should have taken a picture of my paste to make sure but I did watch a ton of videos on how to do it so it should be ok. I wasn't sure about the PSU but I put the fan facing down since there's an opening and filter at the bottom of the case. you could have it so that it pushes air through the back. the fans need a uniform airflow. Keep the fans so that their blades are facing the front of the case. You can download HWMonitor and see temps during stress testing and see which configuration works best. I would still flip the case fans, especially if there is a fan in the back of the desk. That is the way the case and cooler were designed for. Makes sense, I'll do it. Awesome Build for first time :) . I am looking at rebuild/upgrading my system (eyeing the I7 9700k) plus looking at a 2070 (just read the review on this 2070 on PCWorld) but for $500.00 the specs looks really great (not a huge OC myself) and I have been looking at MSI 2070 Black but now choices choices (also on MB too). I must say the CPU cooler looks HUGE. But always nice for a first build and hearing eveything come on when one hits that power button the first time :) . Thanks! 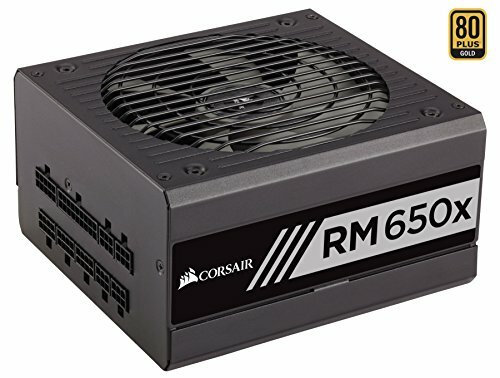 Yes, at $600 it's hard to justify the 2070 but at $500, why not? CPU cooler is huge indeed! It keeps the CPU at good temps and makes virtually no noise so I don't mind. On the downside, I don't think it's currently possible for me to remove the GPU without removing the CPU cooler too because of how close it is to the security clip.... Unless I can stick something very thin but strong enough to push that pin. Nice build, I really like that you embedded fans into the computer cabinet for your desk. The only thing I can comment on is the fan splitter. I would check how many amps your mb fan headers support and check your fans power requirements (since the power requirements vary with different fans). If you plug in too many fans to one header, you can bottleneck the power requirements. The splitter has additional power coming from the PSU, should I still look into the mb fan headers power limits or should I instead rely on the splitter's specs? 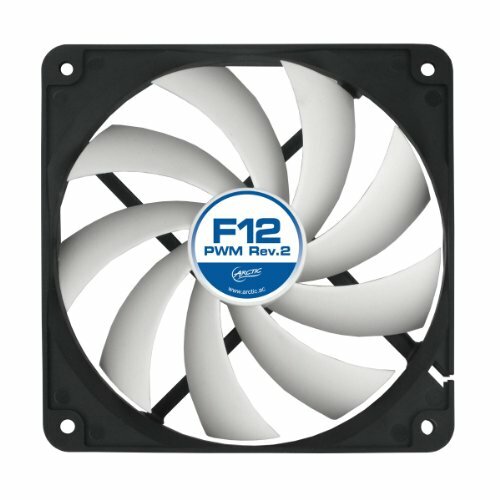 The new PWM fans I receive all come with a female port after the male one so I guess I could daisy chain them and remove the splitter, would that be a better option? I would need 2 fans each on 2 headers and a single fan on the 3rd header. It would rely on the fan splitter so I would check the specs for that, your motherboard will only use the connection really for monitoring fan speed. If you mean daisy chain them by connecting all of them to the same power cable while having multiple splitters, then yeah that should work, and your PSU should definitely be able to power three different splitters. Hope this helps. Nice build. I've been looking to get the same RTX 2070 model as you but finding it hard to find reviews on it but reading the comments you have already has helped. Although, does the Gigabyte RTX 2070 have any RGB LED's? It has a RGB Gigabyte logo on the side, you can see it on the 3rd picture. I haven't been able to configure the RGB on the mobo or on the GPU with Gigabyte's software. I didn't put much effort into it though. I'm just trying to turn them off since they are not visible anyway. Thanks for the reply! Just got a 1000w fully modular EVGA power supply so got everything covered. Love the parts choice with your build btw. Have you experienced any issues with this particular 2070? 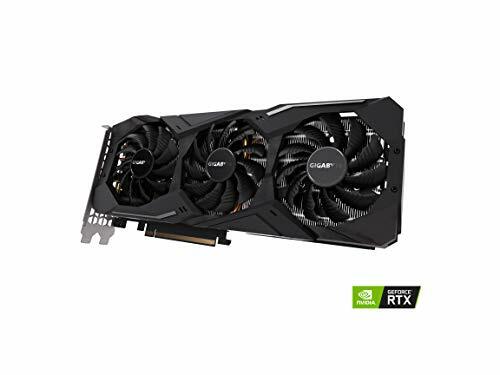 I've been interested in buying it, but because of the recent news of RTX cards failing and some people stating that their 2070s are experiencing the same issues, I've been worried ever since. Either way, what kinds of temps and noise are you getting while in load? No issues yet but I only have it for the past 6 days. I didn't read anything bad about this card either. Do you have a specific benchmark or stress test you would like me to run? I'll send you the results. Noise was around 25-27dB for both test, and that's in the cabinet with the fans still in the wrong direction and the door open. At idle the dB level is at 19-20. Recorded with my phone on the desk just above the door. How do you like the motherboard? I'm planning on getting it aince the rest don't seem a good option. I like it. The only issue I have with it is a very minor one, I'm unable to configure the RGB. There's surely a way if you fiddle with it a little but the included RGB software doesn't work out of the box for me. The BIOS is weirdly organized in my opinion but it works. It just requires some digging around that could have been prevented. I overclocked to 5ghz and it's stable at 1.3v. I could probably lower this a little if I use an AVX offset. Not sure how good it is and how much of it is thanks to the mobo. I also purchased this since the rest of the z390 mATX were not very good options for me. the Z390 i managed to overclock in the bios to 5.0GHZ seems stable but took a few utube videos to work out how to do it. What re those two connection spots on the side of the DVI conncetor? Are you talking about the two circles with antennas logo on the motherboard? I'm really not sure, it looks like they are meant for wifi/bluetooth but since it's not included with this motherboard I don't know. Maybe there's a way to add that functionnality? Maybe it's easier to manufacture it that way for every motherboard they produce even if there's is no wifi? I couldn't find a single word about that in the manual but found discussions about it online and it's really to add wifi antennas later on. Hey, I have a z390 board with a 2x2 and 2x4 CPU power connecter (like yours). Does your psu have both cables for those sockets? No it doesn't, only has the 2x4. I googled it and apparently it's not necessary or even useful to use both. I didn't have any issue but it still bugs me a little. Is your RTX 2070 working fine? I had one crash since I built my PC, not sure if it was the card but I since updated the drivers and it didn't happen again. Build looks great! How is the 2700 holding up? I'm considering getting it but I am a bit hesitant due to the mixed reviews. Any excessive crashes, temps, or noise? I have the same setup as your old one lol.